Born in South Central Pennsylvania, Helena moved to sunny Tampa in 1997. While living in Pennsylvania, she worked as an Administrator for a Medical, Dental and Optical Complex. She also owned a jewelry store and was an Account Manager for a waste disposal & recycling company. After moving to Florida, she continued working in the dental field. She obtained her Real Estate License in 2007 and worked in the Property Management field until December, 2014. She joined Palermo Real Estate as the Office Administrator in July, 2015. In her free time, she enjoys spending time with her family and friends. She loves concerts and art festivals as well as attending the theatre. 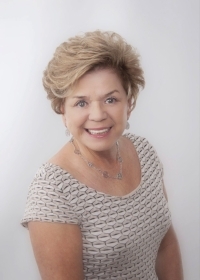 She has a passion for travel and dining out at all the wonderful restaurants in the Tampa Bay Area.